Yes, we designed Paprika 3 to be backwards compatible with Paprika 2 so the two versions will sync together. Bold and italic recipe formatting. Embedded photos in recipe directions. Custom meal types will show as the Snack type on older versions. Menus only have one day on older versions. 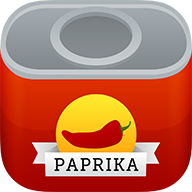 We are working to get the Android and Windows versions upgraded to Paprika 3 as quickly as possible so you'll be able to access the new features on every platform.